A closed-head injury is a category of TBI in which the skull remains intact. This type of injury is not thought to be as serious as an injury in which the dura matter is penetrated, but injuries of this type are the leading cause of death in very young children. They are also the most common cause of ongoing disability and mental impairment in people under the age of nineteen, with an estimated 173,285 children injured annually in sports and recreation related accidents involving head trauma. The injury ultimately disrupts the normal function of the brain, often causing a brief change in mental status. 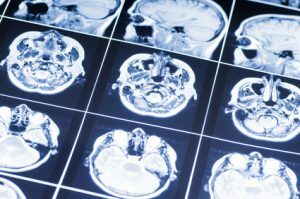 While often not fatal, there is still the potential for severe damage to be caused, in which the result may be ongoing memory issues and physical impairment. If there is no loss of consciousness, a feeling of disorientation. Memory loss, mood changes, depression or anxiousness. Sensory problems, such as dizziness and loss of balance. A closed-head injury may be the result of a fall, an automobile accident, an act of violence or an accident suffered on a sports field. The brain injury can be the result of a sharp blow or other traumatic injury which rapidly decelerates motion in one direction for the body. The degree of damage will be dependent on the nature of the event and the force of the blow. Never hesitate to speak to a well-qualified Florida personal injury attorney if you or a loved one is dealing with the life-altering repercussions of a closed-head injury. Make a call to McBride, Scicchitano & Leacox P.A. at 1-800-336-6000 to discuss your case.